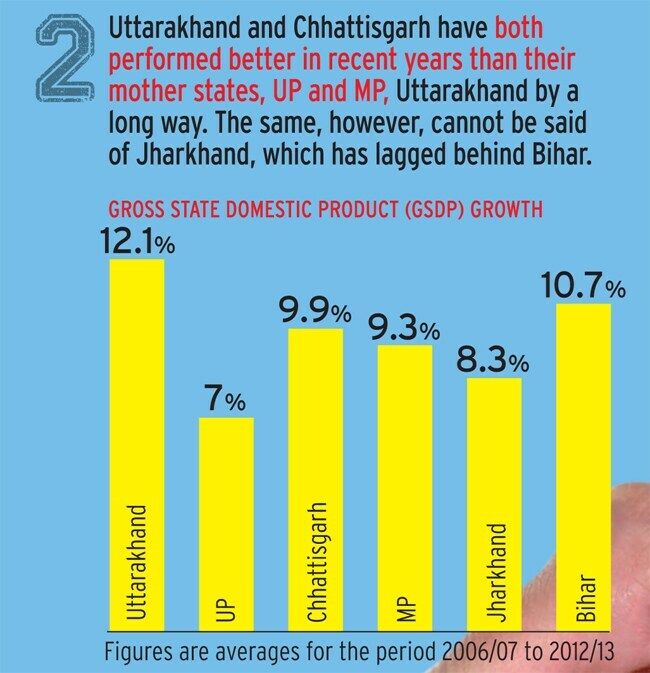 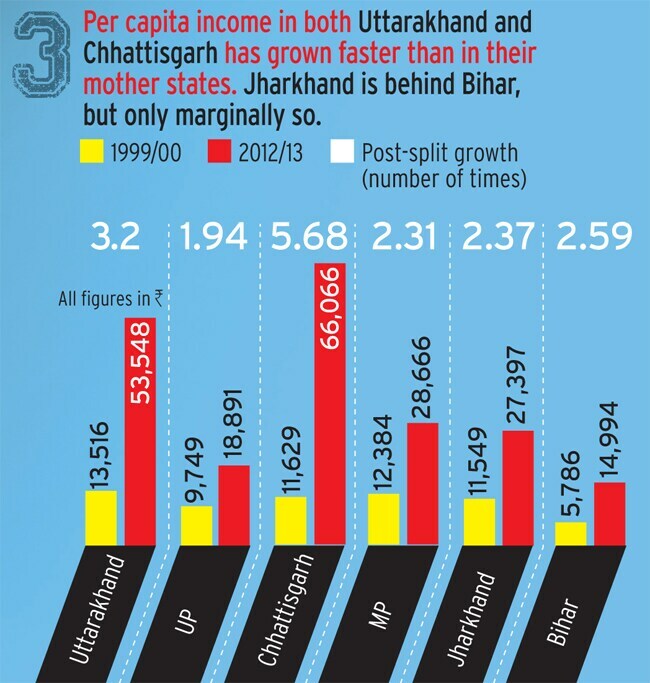 A look at how the last three states formed, Uttarakhand, Chhattisgarh and Jharkhand - all of them relatively small and created in late 2000 - have fared compared to the states they were once part of. 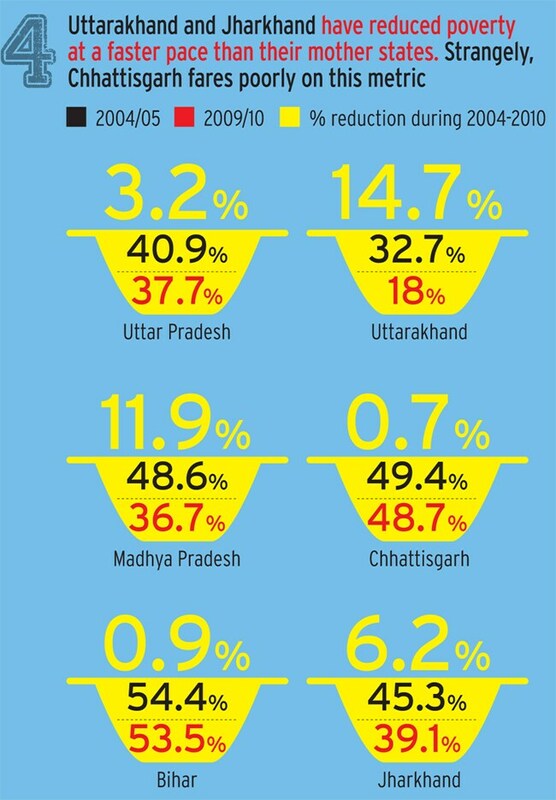 The controversy over carving out a new state of Telangana from Andhra Pradesh has once again raised the question of whether small states perform better than large ones. 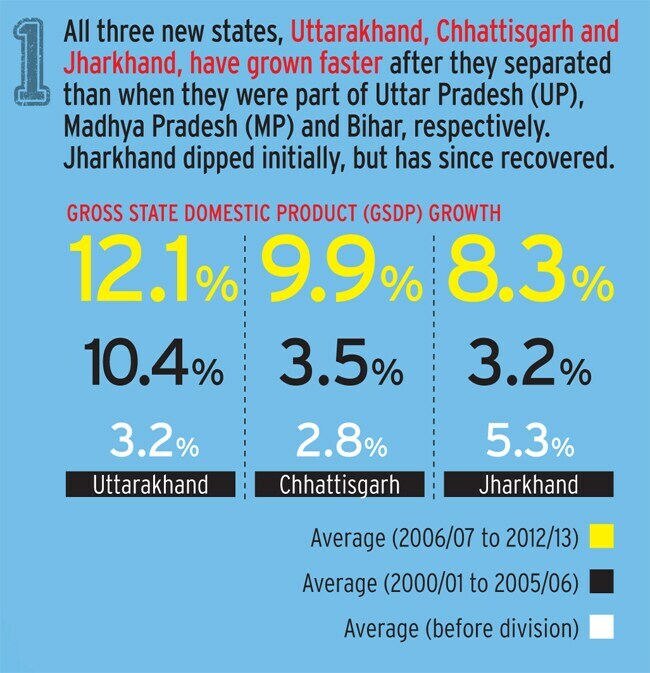 A look at how the last three states formed, Uttarakhand, Chhattisgarh and Jharkhand - all of them relatively small and created in late 2000 - have fared compared to the states they were once part of.